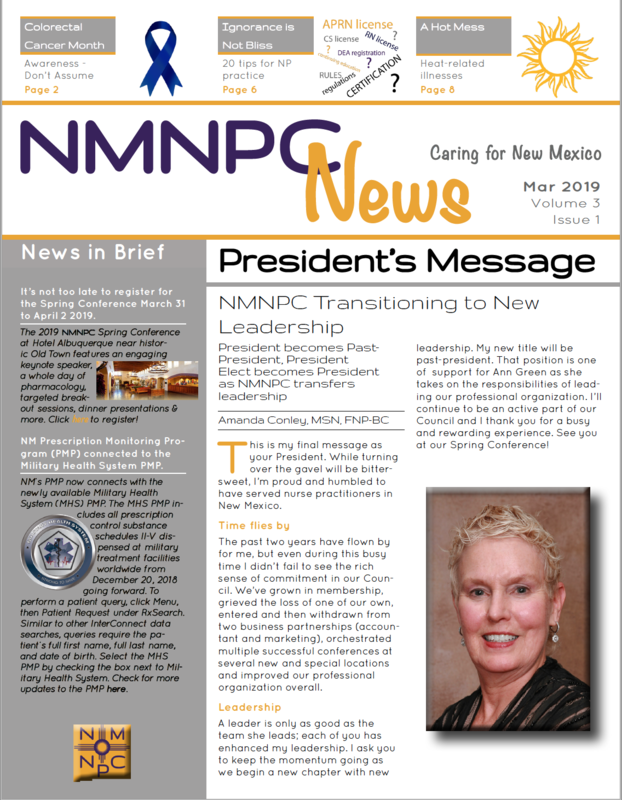 The 2019 NMNPC spring conference webinar will include many stimulating continuing education presentations over 2 days. NMNPC is offering Monday and Tuesday ONLY of this program via the webinar format. Use the register link above left to register for the webinar. You will need an internet speed of 5.0 mbps or higher to ensure smooth streaming. Registration opened January 14. Register by February 24th to avoid late registration fee (use the register link above left). Student members are eligible for a significantly reduced registration fee but must submit a letter from their program director confirming student status in an NP program to finalize registration. NPs pursuing additional education are not eligible for the student rate. If you're not already a member of NMNPC, you may join now and be eligible for the member registration fee. *Late registration begins February 24, 2019. Online registration closes March 22, 2019. This activity is approved for 22.50 contact hour(s) of continuing education (which includes 14.26 hours of pharmacology) by the American Association of Nurse Practitioners. Activity ID 19023552. This activity was planned in accordance with AANP Accreditation Standards and Policies. The webinar provides CE only for those hours available on April 1 and April 2, including the 5 hours of non-cancer pain management CE required for relicensure every two years. 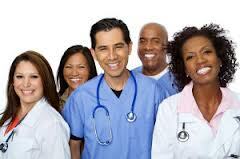 The webinar provides a total of 15 hours of CE (which includes 12 hours of pharmacology). Do you want to showcase your business, or know of a business that would like to showcase theirs at our conference? Click here for more information. All cancellation requests require email notification to contact@NMNPC.org. NMNPC will consider conference registration refunds at our discretion for emergency situations only. If approved, refunds are subject to a $25 administrative fee. Please note: NMNPC will not consider any cancellation requests after March 17th. Download the conference brochure here. Download instructions for obtaining CE credit here.